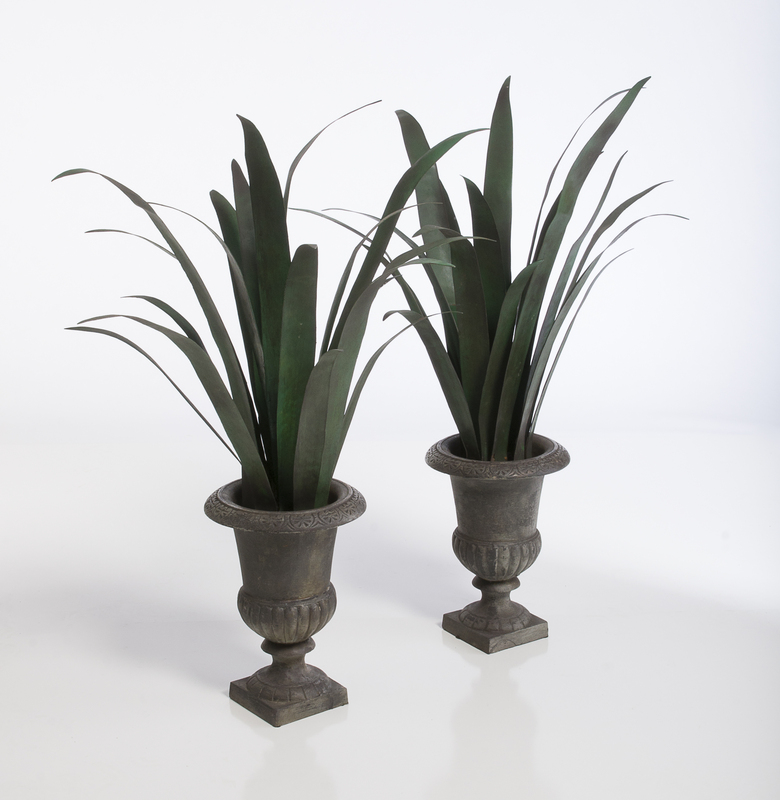 In the style of old world French tole garden ornaments, this pair was cleverly created using leaves of tin, all hand cut and colored, then permanently set in cast iron urns. 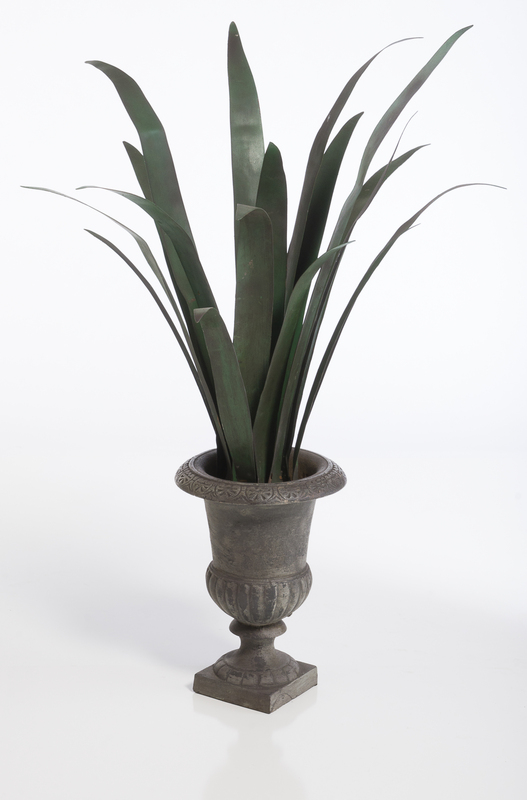 Instant greenery for inside or outside. L 9" x D 9" x H 36"